Executive Chef Morris Salerno will customize a catering menu to fit any need....from a few people to thousands! Our Private Dining Room is perfect for Rehearsal Dinners, Company Gatherings, Birthday Celebrations or any Holiday Event! Welcome to BISTECCA - An Italian Steakhouse! Prepare for some of the finest dining and elegant atmosphere that you have ever experienced. You can expect an upscale adventure in New American Cuisine. Our Executive Chef, Morris Salerno welcomes you to enjoy a culinary experience. Enjoy! Great service, great food, friendly guests! We would go back any time! The atmosphere is cold, it smells old, the wait staff seemed unsure, and had to be reminded to get us bread and water. For the price of the food the presentation was sub-par. The chief is being held back by the atmosphere his food is presented in and the cold atmosphere. Great place to enjoy a great meal! The chef actually came out and met us after our meal. Very impressed. Would highly recommend. Thank you for having us. Went for a birthday dinner and our dinner was outstanding. 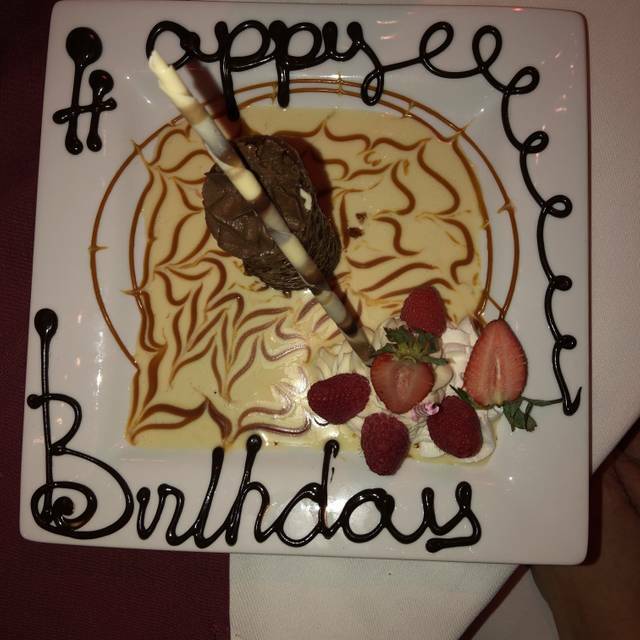 Service was top notch, the food was amazing and the dessert was a great way to finish the night. Normally we have a great, romantic dinner here. However this evening left much to be desired. It took way too long for our waitress to greet us and she didn't seem to know the menu very well. My first glass of wine was the house cab which I sent back because it tasted like vinegar. I ordered coffee after dinner and was brought hot tea instead. Our food was just okay and it's usually amazing. It was also extra noisy that evening when we really were looking for a quiet dinner our away from the noise level children carry naturally. 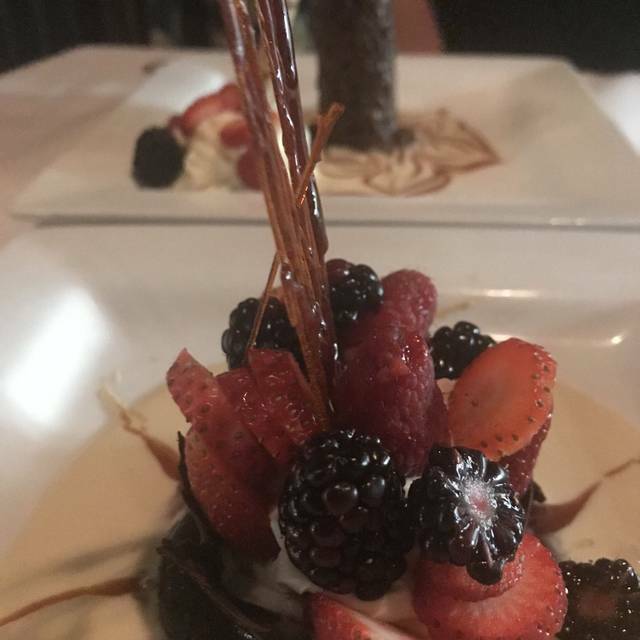 Everything from the appetizer to the dessert was superb! The waitstaff was so knowledgeable, and knew when and when not to engage. Excellent wine list, too. We went for a birthday celebration... had asked if they serve Red Velvet cake by any chance since it’s my husbands favorite... it’s not on their menu, but sure enough, they went above and beyond and made a red velvet cake for us... NOW THATS customer service! It was a great dinner! We were there to celebrate my sons 18th BD. About midway through the meal it seemed like the music was turned up tho, and it was hard to talk at our table. All in all tho, a great experience. 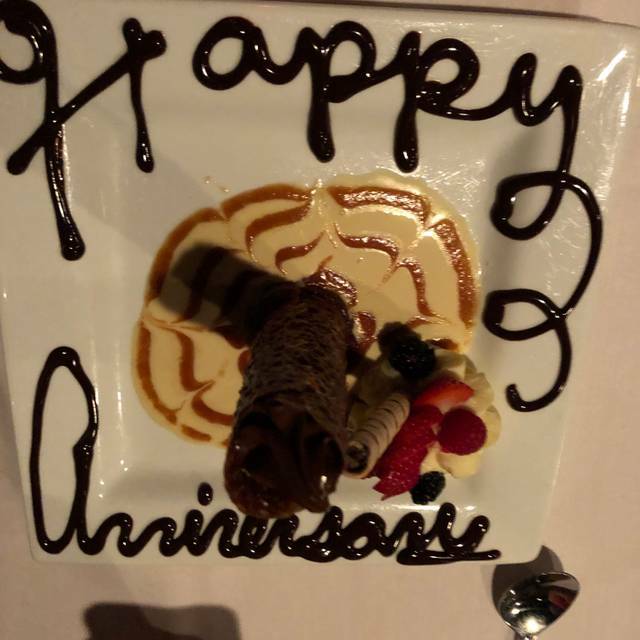 Went there for anniversary, was excellent, delicious food! Highly recommend. We did like the Bistecca, a few things like the coffee not hot and some tables a little loud was not to bad. Excellent and quaint place we found to spend my birthday and anniversary. Service crew were welcoming above and beyond. Food was tasty. You don't find allot of places that play Sinatra anymore. One of my favorite steakhouses in the DFW area! 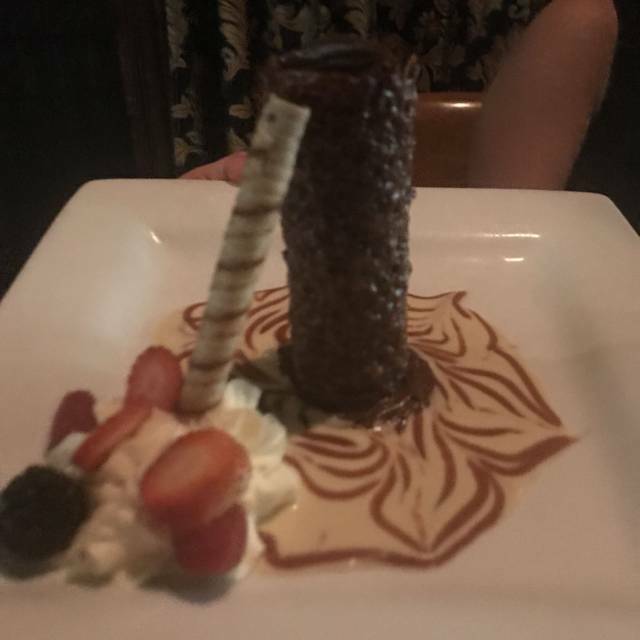 Service was extremely slow, loud restaurant, server said the dessert was on the house for a birthday and was not taken off, food was overpriced and not cooked correctly. Drinks overpriced. 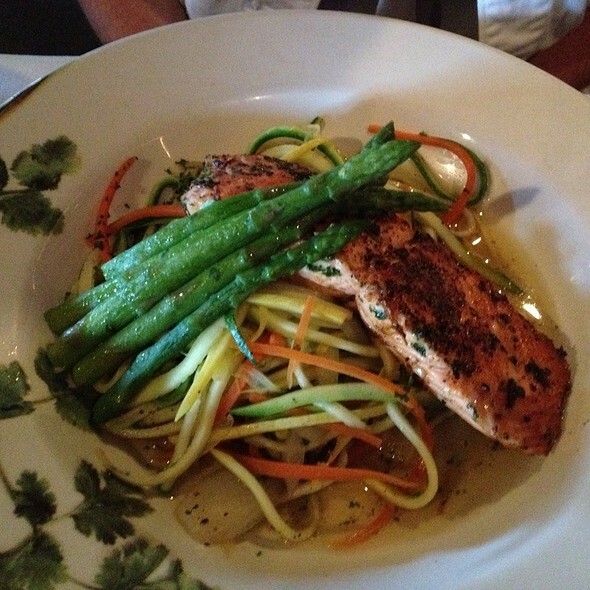 It is always a wonderful time and such a pleasant dining experience. Although we eat there just for a great dinner, this evening was a celebration of seeing our dear friend from out of town. Beau, our sever, was right on. He was engaging and fun. The food is unbeatable. However, this visit, the asparagus was short on portion and a bit over cooked. Lobster, steak, soups, delish. We look forward to dinner there again! Couldn’t be happier with my choice of Restaurant to Celebrate my Husband’s Birthday. We both enjoyed ourselves and he loved it. The food was well seasoned and everything was delicious. 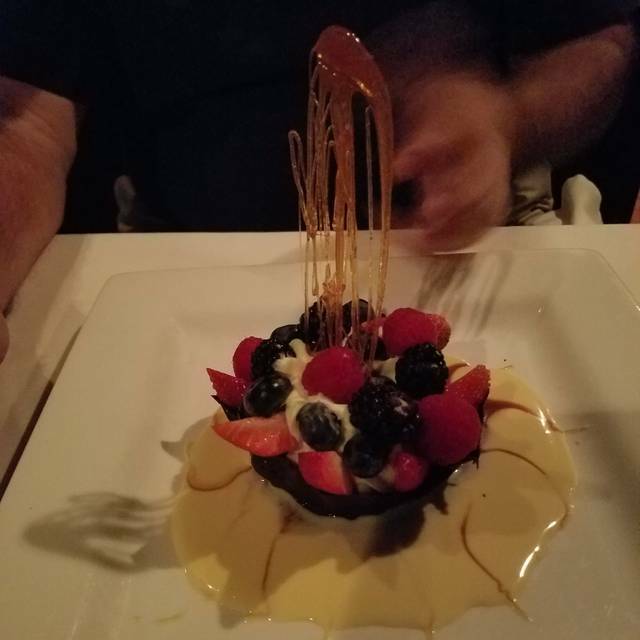 They were also gracious and provided a free dessert for my husband! Everyone is very cordial. One of the hostesses was rather cool in demeanor. This is a great place to eat. My wifes salmon was perfect. My pork chop was amazingly juicy and tasty. Shrimp cocktail was perfect. Our first time here, and I can’t believe it as we’ve lived in FM for almost 3 years! Great Caesar salad, tomato soup, ribeye and filet! Even my 13-year old who is a picky eater ate almost everything on her plate! We were so stuffed we couldn’t eat dessert, but sweet Anna packed a to go chocolate cannoli for us. What an unexpected wonderful evening! It’s not cheap, but would rather go there than Perry’s and Capital Grille from now on as it’s less pretentious. Oh, and the wine list is quite impressive. Go enjoy a special night out! 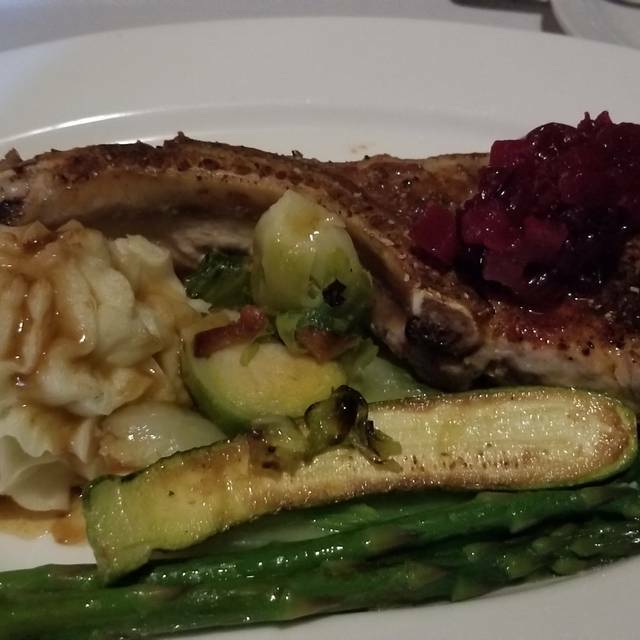 The food was outstanding as expected and the service was excellent! As always a great dinner, a great setting and service that was outstanding. We are always happy with the consistently exceptional food and service at Bistecca. The food is excellent! The drawbacks were a very noisy room (the group at the table adjacent to ours began singing loudly and playing their spoons -- we could not hear each other at our table while this was going on), and that the tables were too close together (wait staff knocked over our glasses twice with their buttocks while they were serving neighboring tables). We had a great experience. The service was awesome, food was great. Highly recommend this restaurant. Food was delicious and reasonably priced. Our server, Laurie was very attentive and right on top of our every need. The only two complaints were that it is extremely noisey and we felt rushed. We were in and out in one hour & fifteen minutes. When you order a bottle of wine, you want to enjoy it and the pace was just too quick for us to do that. It did not appear that they needed the table either because when we left, there were many open tables. Thank you for sending a review for us. This dinner was our Valentines date. We started with a "split" of prosecco but ended up with a split each......that should have been explained more clearly. The glass of Duckhorn cab was great, but a little pricey to us (we are True wine people and are very familiar with pricing) Incidently, I had called prior to our visit to ask about any byob options and the person, Avery, abruptly told me no they couldn't do that because they would lose their liquor license! When a customer asks that question the hostess should know that the customer probably has used other places in Texas that allow byob. Just a side note. 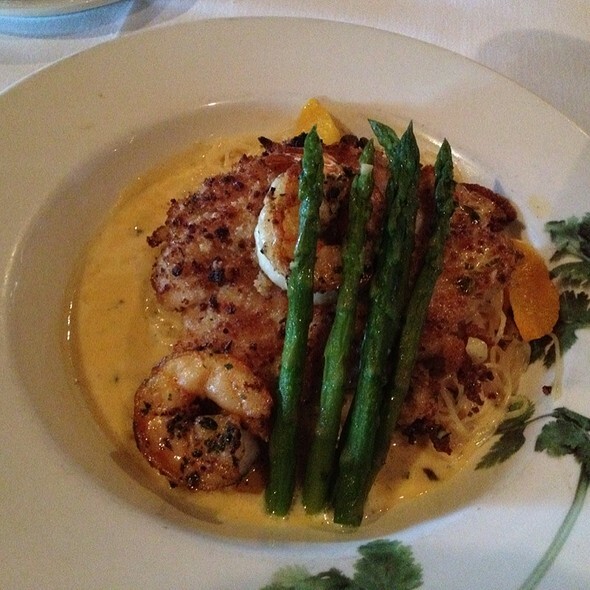 My husband and I shared the shrimp grotto which was excellent. He really enjoyed his 1/2 doz. oysters but the Caprese salad left alot to be desired. Very small and nothing special. My husband ordered the snapper which he said was just ok.......reason being there was too much sauce which took away from the coated texture and the cooking of the fish itself. We took a cheesecake dessert home with us which was great! Since this was our first visit, we will definitely return to give it another try mainly due to the outstanding service we received from Carmen. She was energetic, polite and very personable with us! Thank you Carmen! It was a little pricey for what you receive. The prime rib was a great cut but the flavor was nothing special. The steak was 18oz and I figured me and my date could split it but there were not near enough vegetables. The crab cakes were small, just tasted like crab and not worth the price. The tables are so close that the noise level doesn't allow you to hear each other talk. On the other hand the drinks were great! I had the Spiced Mexican Martini and it was made perfectly. I will venture back someday to try other items on the menu but it's not because the wowed me. Tables were packed like sardines. I couldn't talk with my spouse without the people next to us hearing. The oysters were fishy, I've had better crab cakes, and the venison plate wasn't what I was expecting. We've been to Bistecca 3 or 4 times. The food and service are always fantastic. Favorite item is the tuna grotto app but everything we've had has been awesome. Service is on point. Wonderful steaks...every visit! Relaxing atmosphere for adults! My first time visiting!! It was fabulous!! Our waitress Brandi was very attentive to our needs. WE HAVE BEEN REGULARS AT SALERNOS FOR 25 YRS SINCE MOVING TO FLOWER MOUND FROM DALLAS AND AND ALSO THE GROTTO. WE LIKE THE WHITE TABLE CLOTH ATMOSPHERE AND THE SERVICE. THE FOOD IS ALWAYS PERFECT. Always delish. Always perfection. My favorite restaurant!